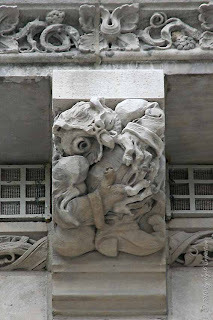 Architect: Raymond M. Hood and John Mead Howells..
Sculptural ornamentation: Rene Paul Chambellan.. 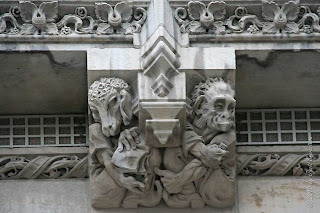 If only I knew what any of these elephant, owl, monkey, ram, or bear represent.. I know one just one, that is "Frog". 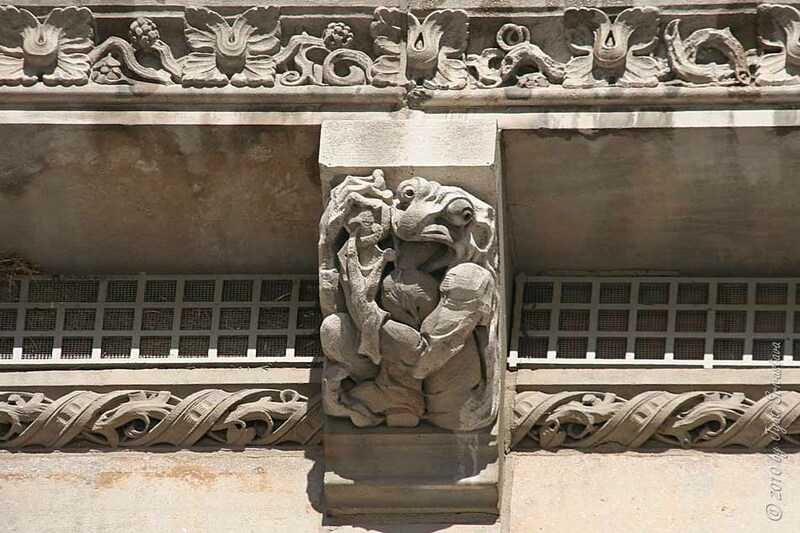 Frog was created by Rene Chambellan to represent himself, jokingly alluding to his French ancestry. 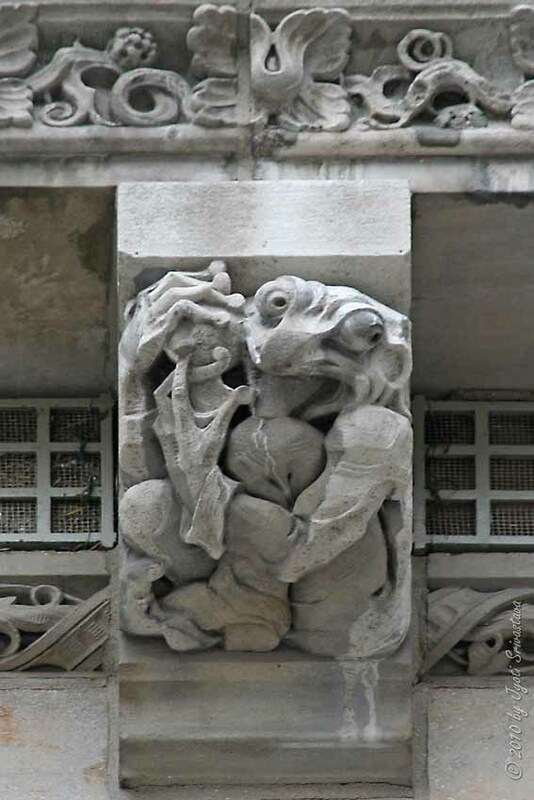 But why are French called frogs? 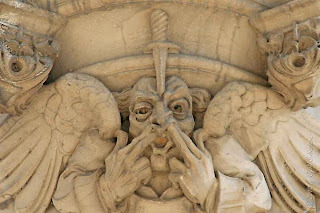 Well, that's another story, and again I know nothing about! 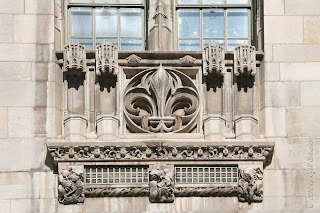 A repetitive fleur-de-lis motif can be seen everywhere.. 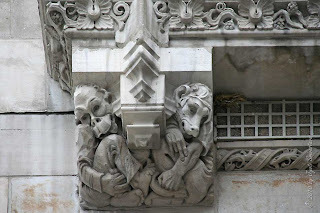 This motif is commonly found in Gothic and Gothic Revival styles..
Two allegorical gargoyles I find particularly amusing.."News" and "Rumor"..
# For more.. News & Rumor.. click here..
# Check out the amazing works of..
Rene Paul Chambellan.. click here.. 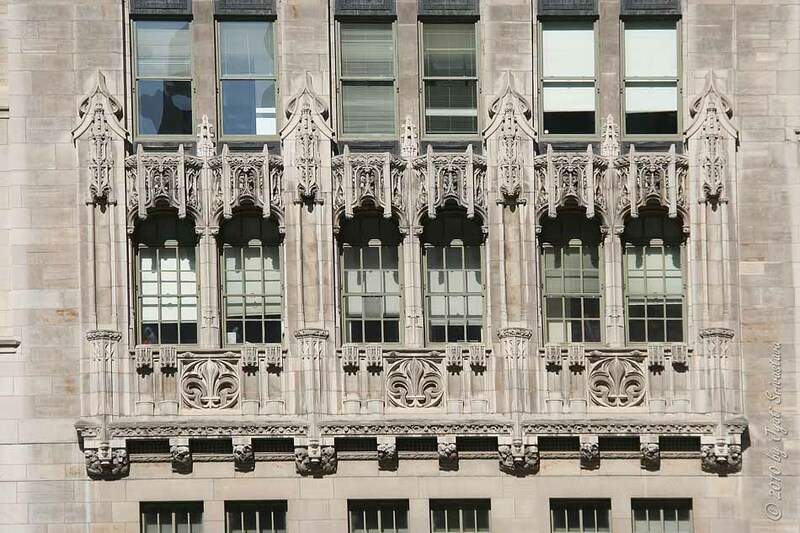 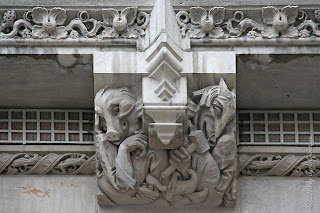 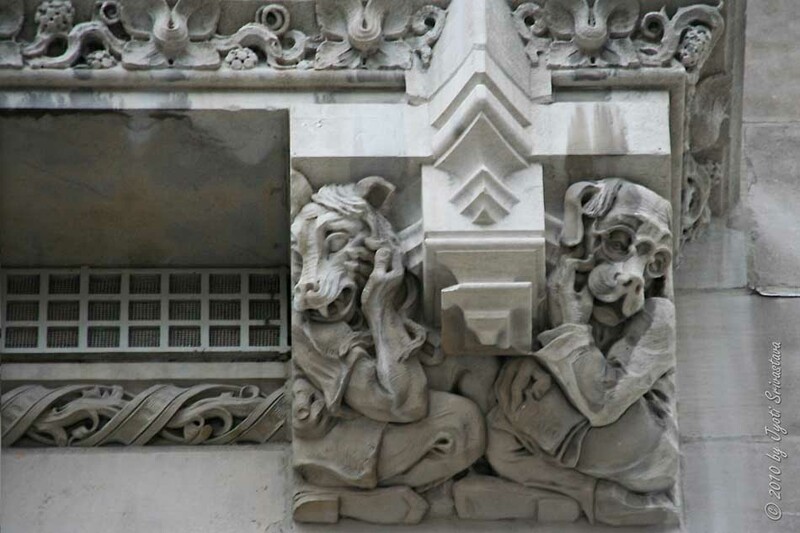 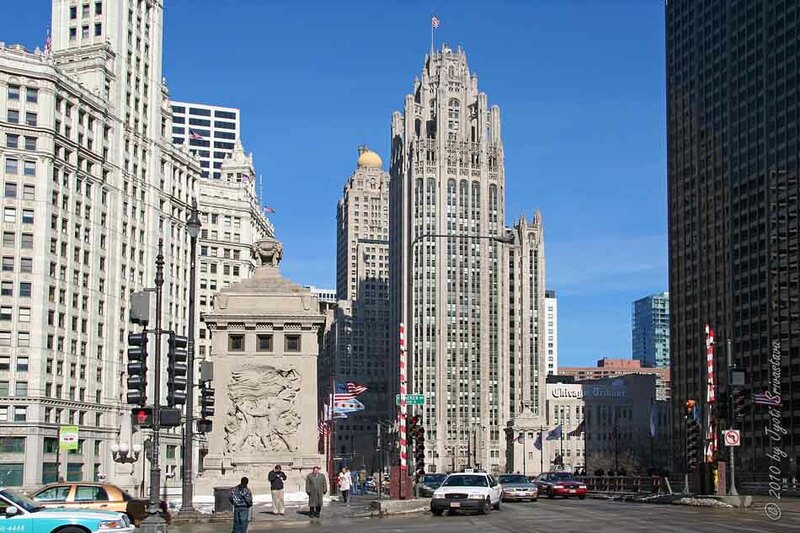 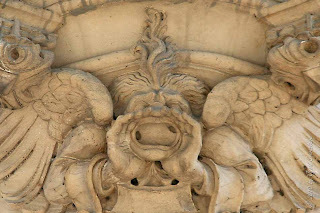 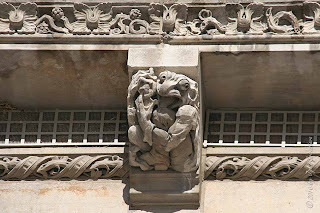 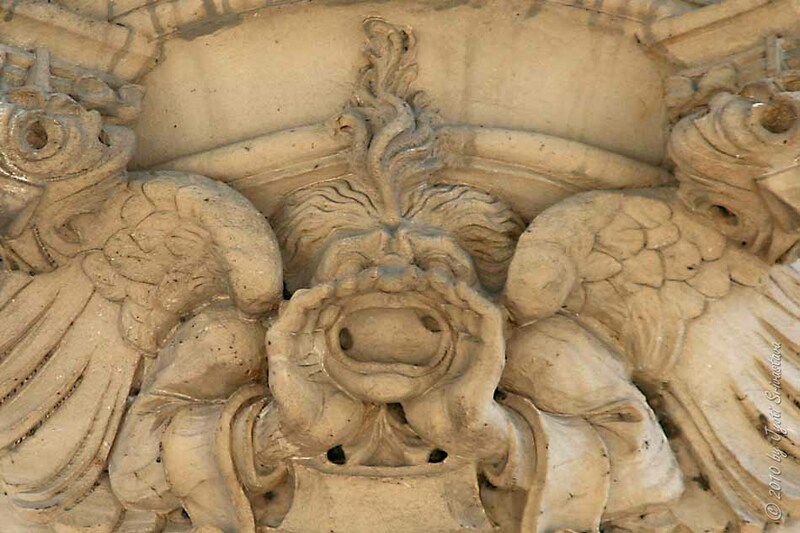 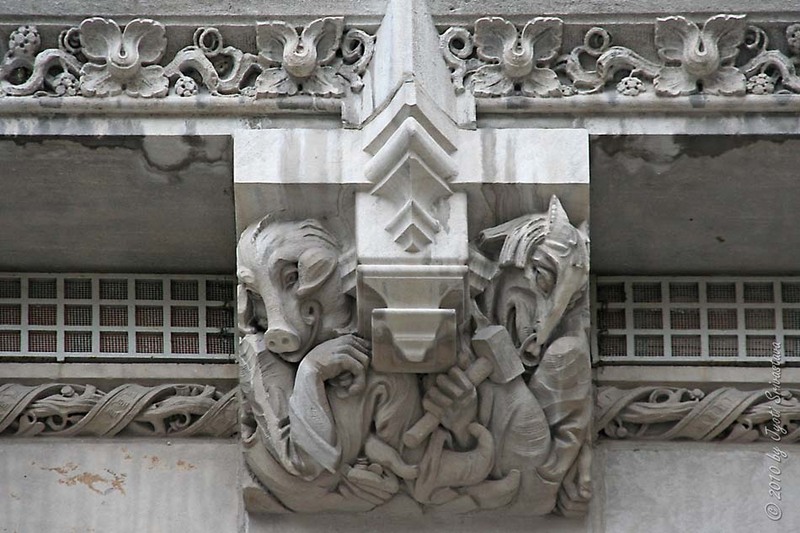 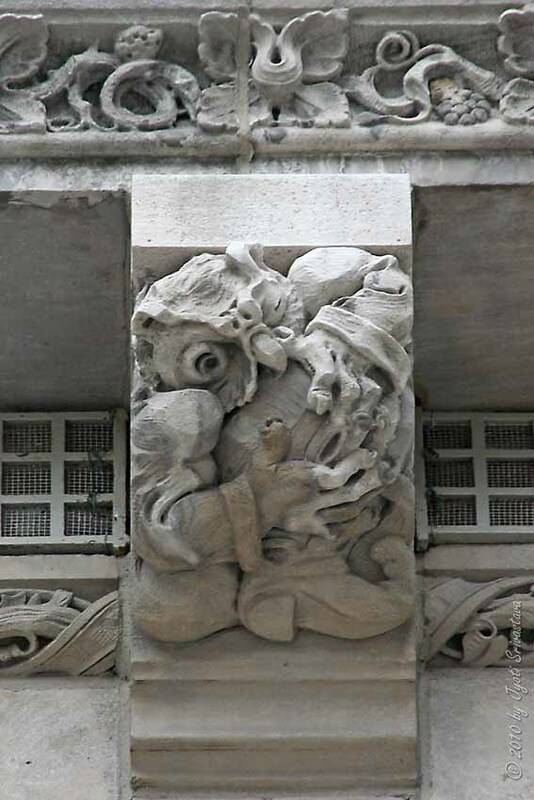 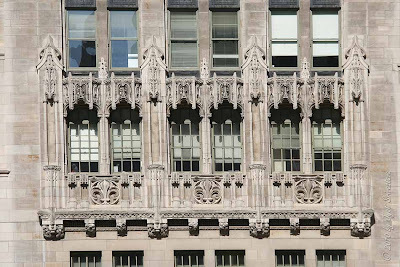 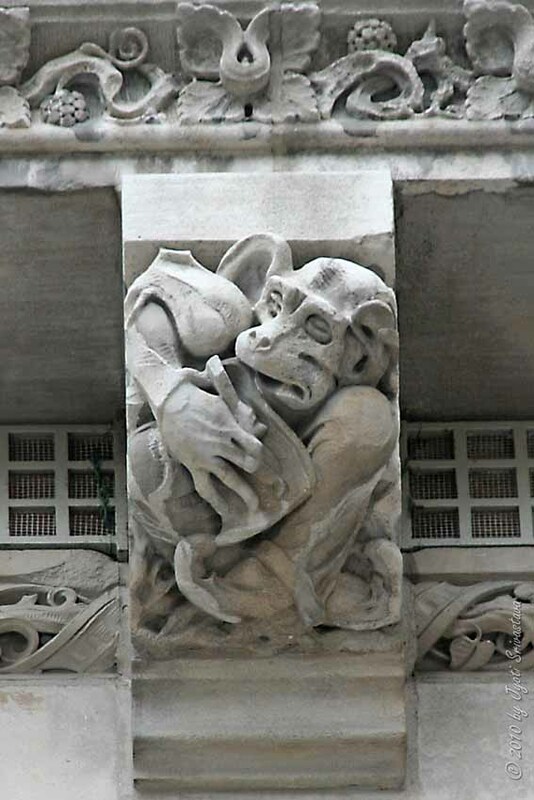 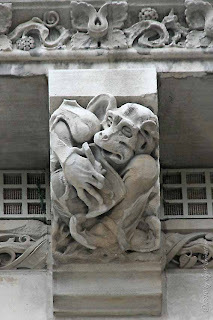 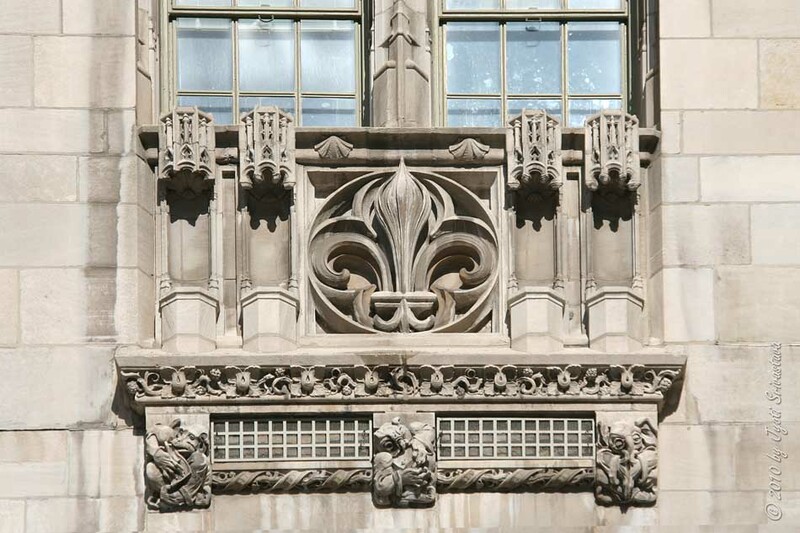 There is a program by Geoffrey Baer of WTTW in which he explains the different sculptures of the Tribune building and other architectural sculptures in the city. 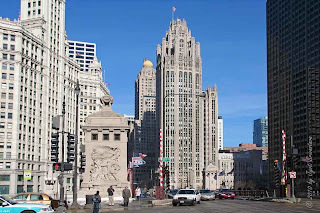 The "Chicago by Boat" program details many of these. 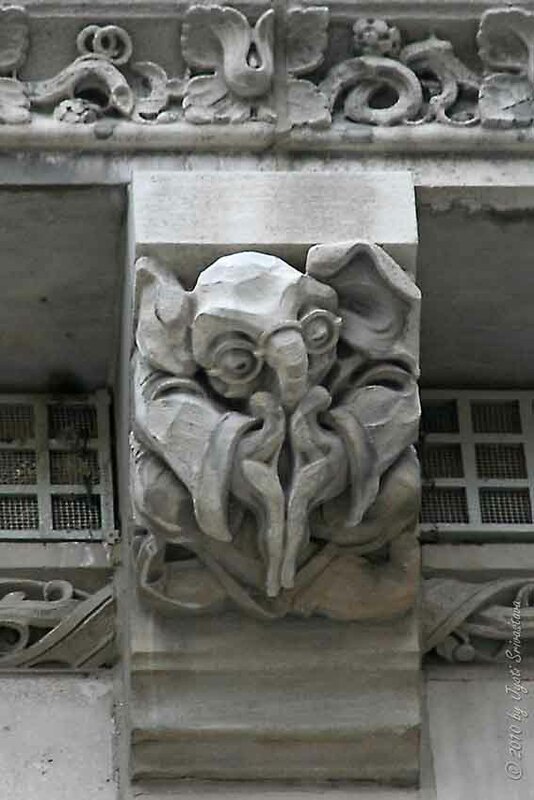 The elephant holding it's trunk is purportedly representing scandal.